New Delhi: Delhi Health minister Satyendar Jain said 1,000 mohalla clinics, aimed at providing free primary healthcare, will be set up across the city in the next five months. “We have constructed 8,000 toilets in the city so far to achieve the target of making the national capital ODF,” Jain said. 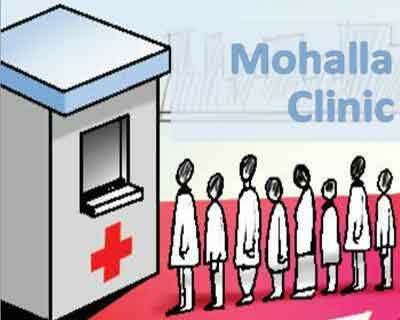 “We have built 110 mohalla clinics and other 100 will soon start functioning. We will set up all 1,000 mohalla clinics in four-five months. “Apart from this, 150 polyclinics will be built by the government soon,” Jain said. The government has also plan to provide ‘Health Card’ and ‘Health Insurance’ to every citizen, the minister said, adding the department is working on it.